Let your mum know how much she means to you with this wall sticker. 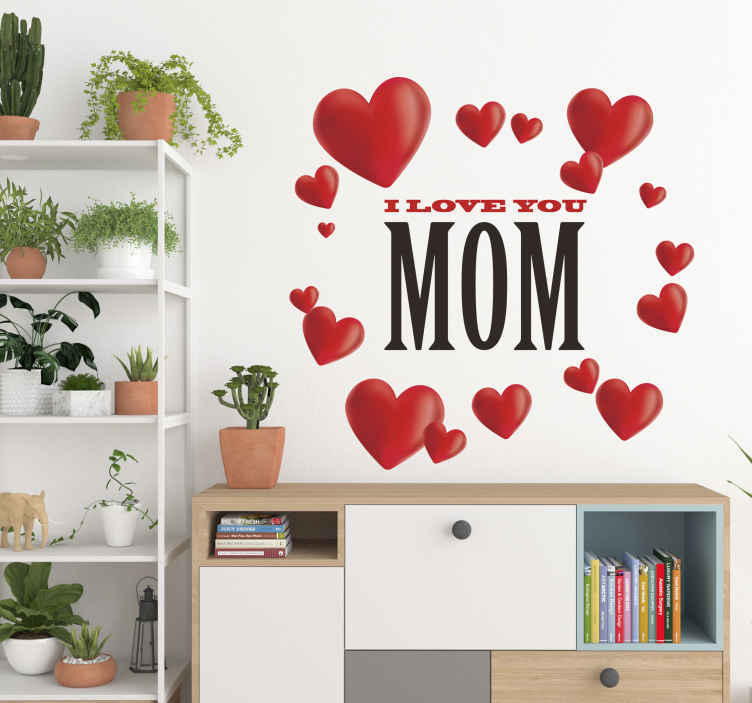 The wall sticker consists of love hearts surrounding the message "I love you mom!" Bring a tear to your mums eyes with this loving wall sticker. Our stickers are made with an adhesive film that makes no mess and is easy to apply to any flat surface. Every time your mum sees this sticker she'll be reminded she has children who care.